Dry needling is a technique used by many chiropractors as an adjunct to their manipulation skills. Acupuncture needles are used primarily on tight and shortened muscles to deactivate them and cause relaxation and lengthening. Chiropractors might use them to relax a muscle before adjustment or as means of reducing pain in a tender muscle. Sometimes traditional meridians are followed and needling used to bring about pain relief in seemingly unrelated parts of the body. The technique is usually painless and when used by a trained practitioner can have remarkable effects. All our chiropractors are qualified and competent dry needle practitioners. Dry Needling should not be confused with Chinese Acupuncture as it is a technique that it is used to treat myofascial trigger points which generate pain within a muscle, and does not follow the full range of diagnostic and traditional Chinese Medicine theories of Acupuncture. 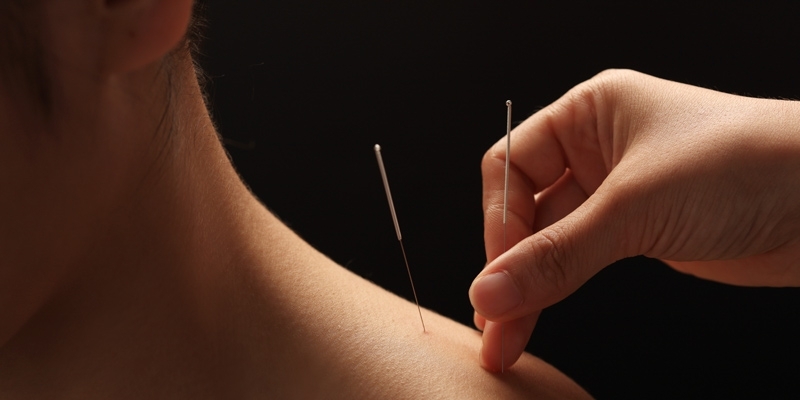 It has, however, been controversially argued that because an acupuncture needle is used to pierce the skin, it is in fact a technique of Acupuncture. At the Bury St Edmunds Chiropractic Clinic we prefer the term Dry Needling as this does not confuse the technique with the comprehensive range of non- musculoskeletal theories of traditional Acupuncture. Reduces the levels of Bradykinin, Substance P and CRGP(chemicals that cause pain) at the site of the needle insertion.